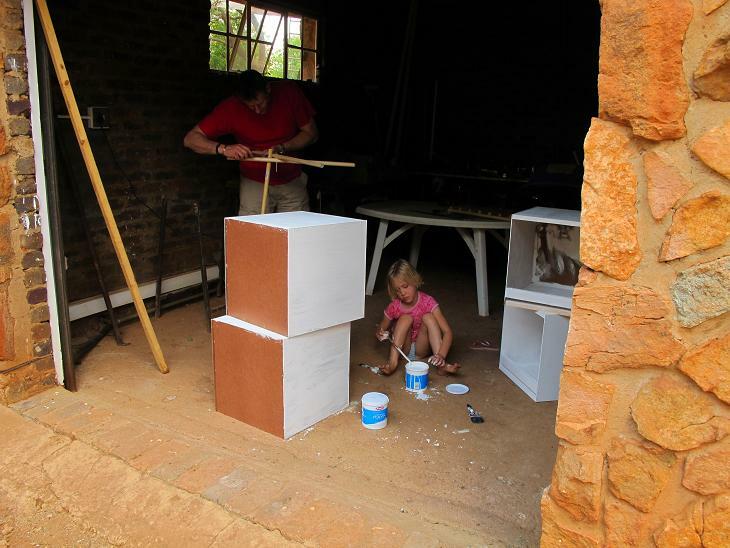 Over the weekend we decided to make new laying boxes for the hens at the sanctuary. It was a fun family event. Note two little hens moved into th top boxes immedietly. The American Humane Association’s (AHA) farm animal welfare certification program – American Humane Certified – announced in June that it will permit the use of so-called enriched battery cages for laying hens as an option for humane housing. Humane? My first reaction on hearing this was, “Hey guys, you do realize this is still a cage, don’t you?” But let’s be evenhanded about this and look at the reasoning put forward by the American Humane Association. The American Humane Association’s rationale for this decision is that these cages are “enriched” to allow hens to exhibit natural behaviors. In making this decision AHA states that it has carried out an extensive scientific review of the behavior and welfare of laying hens housed in such systems – mainly looking at research from Europe where conventional cages are soon to be totally banned. Okay, so I might consider accepting that an “enriched” battery cage possibly offers better welfare opportunities than a standard battery cage. But AHA fails to recognize some key behavioral needs that hens are driven to perform. I am talking about providing the birds with space to run, stretch, flap their wings, and fly; litter and somewhere to dust bathe; and vegetated areas to peck at and forage in. AHA also significantly underestimates the ability of enriched cages to provide adequate nesting and perching. 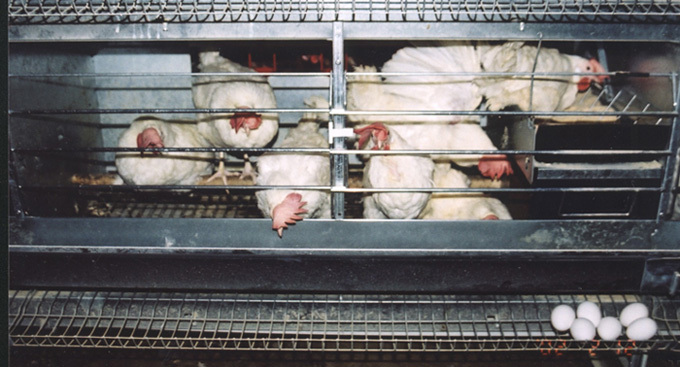 So what does the research really tell us about “enriched” battery cages? And are they really a humane option? I was pretty confident that a lot of research existed to say some of these behaviors are not wants but programmed driven behavioral needs. AHA is quite correct in turning to Europe where the bulk of the research has been carried out on enriched cages. 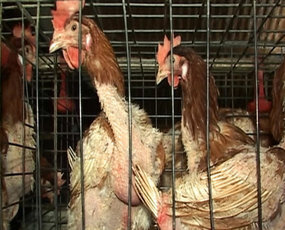 In 2012, standard battery cages will be prohibited across the whole of the EU, following legislation first introduced in 1999. In order to facilitate the transfer of egg production from standard battery cages to other systems the EU funded the LayWel project, which examined welfare implications of changes in production systems for laying hens, with a particular emphasis on what the project described as “furnished” or enriched cages. It may seem like wordplay to insist on this term rather than “enriched,” but the LayWel project makes the valid point that adding a perch or a nest area to a cage can be factually described as furnishing it but that it is a matter of opinion as to whether or not it “enriches” the cage. The LayWel project terms “furnished cage” the more accurate description and it’s the term I will use going forward. In Europe, legislation lays down specific provisions that must be met by furnished cages. It is not clear whether AHA will require cages to meet the EU legislative requirements or if they will draw up their own standards for cages. The EU legislation requires at least 116 sq. inches of total space per hen. 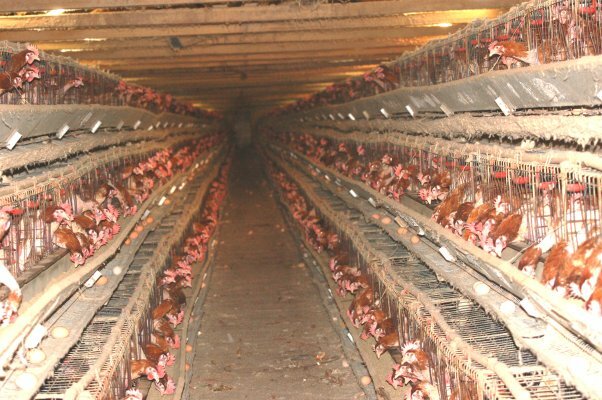 In March 2010, U.S. manufacturer Chore-Time Egg Production Systems unveiled its furnished cage at the Midwest Poultry Convention which only provides 68 sq. inches per bird – less than the current legal minimum for a standard cage in the EU, which requires 85 sq. inches per bird. Even taking the legislation into account, there are a multitude of options for cage design, some of which the LayWel project found can severely restrict the ability of the birds to gain a welfare benefit. For example, furnished cages in the EU must provide 6 inches of perch space per bird, but if the perches are arranged in a crosswise manner to fit them into the cage it may be difficult for the birds to actually use them. On the topic of perches, you might wonder how it is possible for a bird to get up on a perch in a cage. Your picture of a bird roosting is probably similar to mine – a bird way up in a tree or high up in the rafters of a barn. High perches make birds feel safe from predators and other threats, but in a furnished cage the perch is likely to be less than 3 inches off the floor – and the wire top of the cage will be just 15 inches above that. You might argue that there are no predators that can get into cages but this misses the point. Chickens originate from jungle fowl of southern Asia and, regardless of the cross breeding and hybridization of the species, their behavior remains pretty much the same. For the chicken to be free from fear and distress it needs to be able to get up on a perch where it feels safe (Olssen and Keeling 2000; Cooper and Albentosa 2003). The EU Animal Health and Welfare Panel states, “Resting and perching are important aspects of birds’ welfare. Roosting at night on an elevated perch is a behavioral priority” (AHAW, 2005a). At just a couple of inches off the floor, the perch in a furnished cage will be seen by the hen as part of the floor and not as a perch (Tauson, 1984). Let’s move on to one of the other supposed benefits of a furnished cage – the fact that it has a nest area. 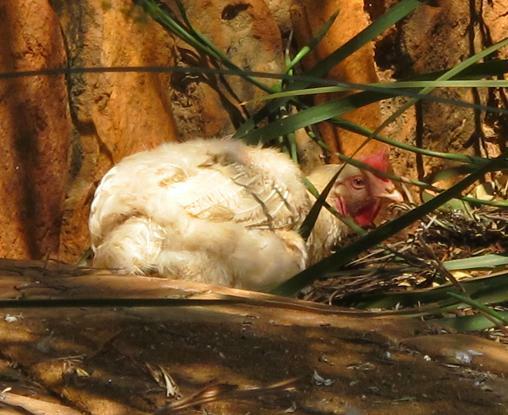 It is well established that hens place a high value on a secluded nest site. Research has shown that hens will move weighted doors and squeeze through gaps to get to what they consider a suitable site. The reduced space in cages in general and the small area set aside for nesting in furnished cages in particular is a problem. Hens naturally lay at the same time each day – early in the morning – so there could be a queue of hens waiting their turn to get into the nest area. 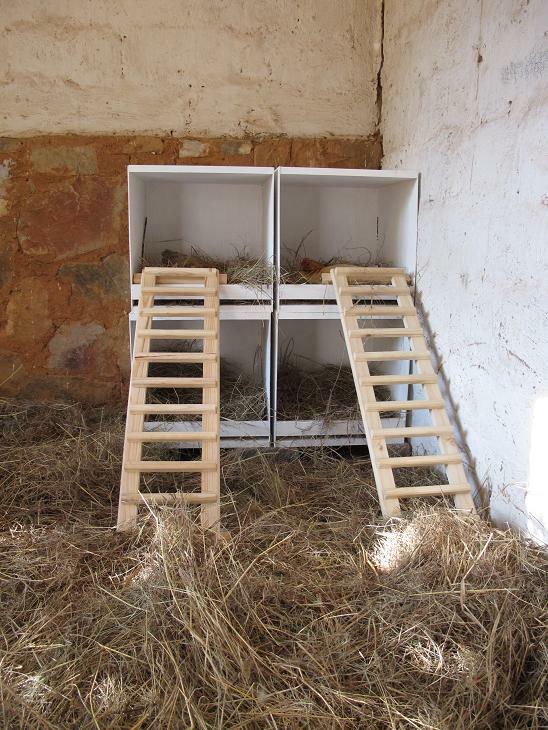 Early work on furnished cages (Guesdon and Faure, 2004) showed that the number of eggs laid in the nest area varied between 43 percent and 68 percent in a trial comparing four designs of furnished cages with standard cages. This suggests that the nest areas were not always satisfactory for the hens. While LayWel project research showed a higher percentage of use of the nest area in furnished cages versus standard cages, the fact that a nest is provided is not the point; hens must find it acceptable or they will not lay eggs in it. This is not an issue for non-cage systems which provide far more space and more numerous nest boxes. Space to “turn around, spread their wings and lie down” is quoted as being a benefit of a furnished cage. Let’s take the EU space per hen of 116 sq. inches per bird in a furnished cage. Is this really enough? Well, the bird can definitely stand in this space and it can probably lie down. But can it really spread its wings and turn round with ease? How much space does this take? Dawkins and Hardie (1989) looked at the average space required by a hen to carry out basic needs: turning around requires an average space of 198 sq. inches, stretching her wings requires 138 sq. inches, and flapping her wings requires 290 sq. inches. These figures are all far greater than the space provided per bird in a furnished cage. Of course, each furnished cage holds multiple hens so total space will be more than one hen needs; so you could argue that within the cage there is more than enough room for a particular hen to flap her wings at any given time. Of course, she’d have to count on the cooperation of all the other hens to be out of her way and not trying to stretch their own wings at the same time. And, we’re not even considering the need of the bird to run, fly, dustbathe and forage. In natural conditions, hens spend 50–90 percent of their waking time foraging, making up to 15,000 pecks a day (Webster, 2002; Picard et al, 2002). No wonder feather pecking is an issue in cages – imagine the frustration of being deprived of doing what could take up to 90 percent of your day? That natural drive and energy must be directed somewhere and, sadly, the only option is to peck at the other hens you are trapped with. Furnished cages fail to meet the need for foraging behavior and making only the most minimal of accommodations for pecking. Dustbathing is another key natural behavior (Lindberg and Nicol, 1997) that the furnished cage is supposed to facilitate. 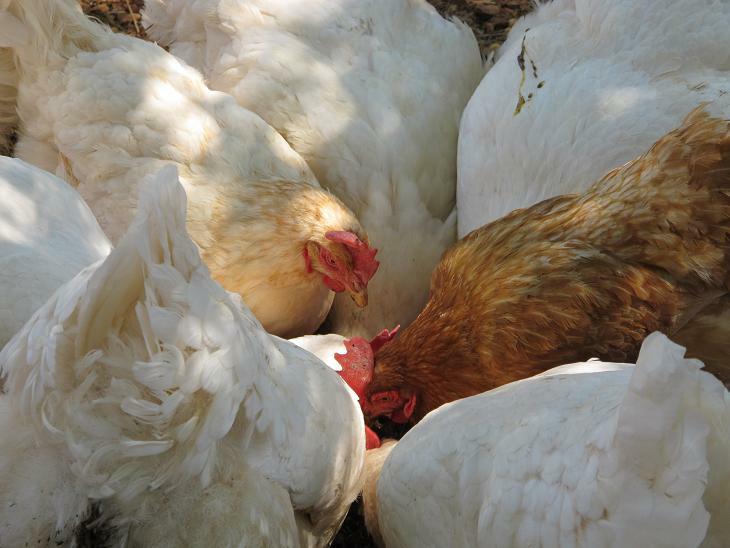 True dustbathing involves the hens lying down and throwing litter or other loose material over the feathers of their backs and wings, rubbing it in, and then shaking it out. When hens do not have a suitable area and litter in which to dustbathe, they still go through the motions of dustbathing. This is known as “sham dustbathing” and research suggests that it does not properly satisfy the motivation of hens to dustbathe. In furnished cages, sham dustbathing on the wire cage floor takes place far more frequently than in the littered area (Lindberg and Nicol 1997) with two thirds of dustbathing taking place outside of the designated area. At first it was thought that competition for space was contributing to this, as well as the fact that, like egg laying, dustbathing tends to take place at the same time each day. But further research (Olsson and Keeling 2002) shows that there was no relationship between sham dustbathing and competition for use of the litter area, suggesting that the area, the type of litter provided, and the depth of litter in furnished cages just does not meet the hens’ requirements, and so they treat all areas as equal when dustbathing. Like the nest box, it’s not just the provision of a designated area that is important; it’s whether the hens see it as acceptable. In non-cage systems where there is appropriate litter on the floor and/or access to outdoor areas there is no evidence of sham dustbathing (AHAW, 2005b). From the points raised above it is clear that furnished or enriched cages provide very few potential benefits compared to standard cages – and in no way compare with the kind of high-welfare pasture based systems supported by Animal Welfare Approved (AWA). No wonder then that European welfare groups such as Compassion in World Farming are calling for a ban on “enriched” cages, and that in Germany all cage systems – including furnished cages – will be prohibited beginning in 2012. While AWA can agree that almost anything is better than a standard barren battery cage, let’s not kid ourselves that the enriched cage is anything other than an inhumane confinement system. I think this new format with categories displayed makes this an easier blog to navigate, and find information? Just made a healthy snack for our chicks. They loved it! I have recently been trying a little powdered spirulina on food every 2 days, and it seems to be making a big difference to feather growth. All veggies should be fresh and in the same condition as you would eat them. Slimy/ old veggies could make your chickens sick. Just magi mixed veg (carrots/ spinach/ raw butternut/ cabbage) is great for chickens. Adds a raw/ fresh aspect to their diet. 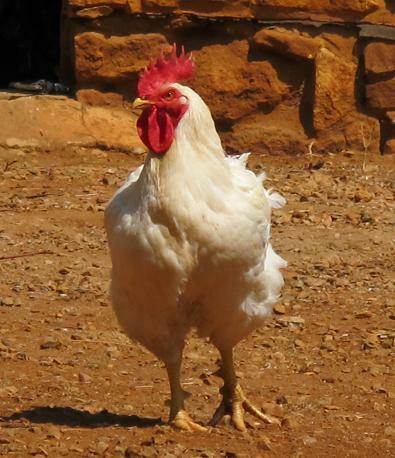 Are you aware that a corn and seed diet is not a balanced diet for your chickens? Chickens need much more variety, as they get when free ranging in a large natural area (remember a suburban garden has a little of what they need, not all). Get a good quality laying pellet for them, plus fresh veg, grass to graze on etc. If you have any good diet tips for chickens, please post comments! Roshashonna and Yom Kippur have just happened, and Kapparot, which has only come into my field of phenomenon in the last few months. “Kapparot” or in the Yiddish “Kaporis”. The meaning of the word is atonement. This refers to the custom of taking a white chicken or rooster on the day before Yom Kippur and swinging it over your head. The rooster is taken to the ritual slaughterer, the “shochet”. The shochet plucks several feathers from the neck of the rooster to make the slaughter easier and faster. He bends the roosters head up, and pulls the sharp knife across the neck. His body is hung upside down to allow the blood to drip out of the incision. In my previous post I said it was unclear as to why the guy who brought us Sunshine and Hannah, but over the week I started putting 2 and 2 together. A religious Jewish man brings me two white chickens a few days after Yom Kippur – his story does not exactly add up – where they were bought and why. Hannah has a broken leg (often – not always happens in the swinging of the chicken – may have happened in transportation – either way she did not get adequate medical attention). I started to wonder of these were chickens used in a Kapparot ceremony – usually they get slaughtered at the end, but somehow this man felt it was better to bring them to us (thank heavens, and for this I thank him). So, I decided to phone him and ask, and he confirmed that they had been used. This led me to do more research on Kapparot. Not all religious Jews are in favour of Kapparot. Kapparot seems to have come under scrutiny and criticism from animal welfare groups, but also some chief Rabbi’s. Often the handling of the chickens around Kapparot is neglectful, and although many articles tell you the chickens dies instantly, this is often not the case. The Society for Prevention of Cruelty to Animals in Israel has received a significant halachic backing for this year’s annual campaign against the cruel use of chickens in the kapparot (atonement) ritual. Rabbi Shlomo Aviner, head of the capital’s Yeshivat Ateret Cohanim and rabbi of Beit El, not only provided the SPCA with a letter last week showing the faultiness in the rite, basing his arguments on some of the greatest arbitrators, but went on video to expound on the halachic traditions proving why it’s wrong to inflict such cruelty on God’s creation, especially when the underlying motivation is absolution of ones sins before the same God, as Aviner quotes former Tel Aviv Rabbi Chaim David Halevi. 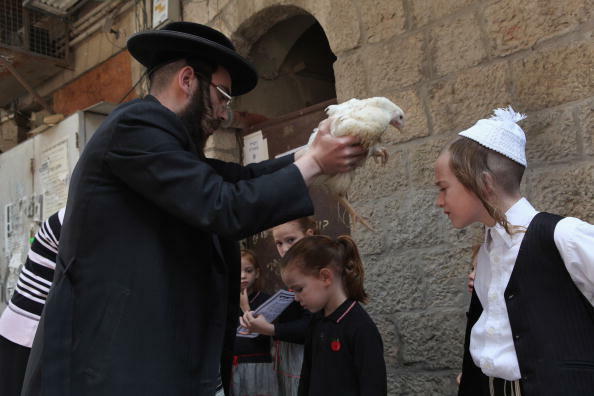 Since the sixth century, the ceremony of transubstantiating one’s sins into the body of a chicken, and then slaughtering it, has prevailed among Jewish communities, acted out in the days leading up to Yom Kippur. Over the centuries, halachic disputes emerged around the rite, with Rabbi Yosef Karo (who wrote the Shulchan Aruch), the Rashba and Nahmanides among those objecting it for various reasons, including the potentially problematic slaughtering, the non-Jewish superstitious character of it, and the unnecessary cruelty inflicted on the animals at a time of year that ought to be marked by mercy and benevolence. Alternatives to the fowl were put forth, such as the use of grain or giving charity to the poor. Before the actual slaughtering, which at times leaves the birds floundering for long minutes in a bloody near-death, the chickens are cooped up in small cages, many times out in the sun for long hours. The kapparot rite involves swinging the bird over the atoned ones head, much to the discontent of the animal. 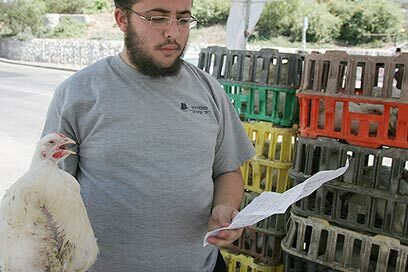 To encourage observant people to choose a non-fowl object of atonement, the SPCA sent out requests to many of the country’s leading rabbis, and was happy to receive a clear voice of support from Aviner, one of the most influential rabbis and educators in the national-religious sector. Under the headline beginning with a pertinent citation from Psalms, “and His mercy is over all his works,” Aviner leads the reader through the halachic discontent over the use of chickens in the kapparot, beginning with Rabbi Karo, the ultimate halachic source for Sephardic Jewry, who called it “the custom of the Amorite ­ – simply put, a superstition.” Aviner cited the late kabbalic Rabbi Yitzchak Kadouri, who said that you should abstain from using chickens due to “the cruelty to animals, which is prohibited by the Torah, and kashrut problems.” He also mentions Rabbi Shlomo Zalman Auerbach (1910-1995), who over the years stopped using animals for kapparot, giving charity instead. “Since this is not a clear duty but rather a tradition, and in the light of the kashrut problems and cruelty to animals, and in the light of all of what our aforementioned rabbis said, it is recommended that one should prefer to conduct the atonement ceremony with money, thus also fulfilling the great mitzva of helping poor people,” Aviner summarized. Chief Ashkenazi Rabbi Yona Metzger also responded to the SPCA’s request for rabbinic support, and issued orders to ensure that the chickens facing the ceremony will be treated in a way that would reduce the unnecessary suffering to a minimum, in accordance to the Jewish tradition that stresses the need to show compassion to animals. “We must treat these animals with the same mercy we hope our Creator would treat us,” Metzger said. Richard Schwartz, president of Jewish Vegetarians of North America, said on Monday that he was “very happy about Rabbi Shlomo Aviner’s statement. 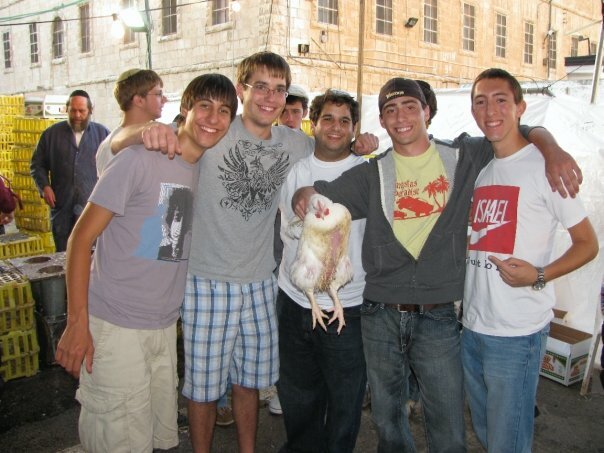 Using and donating money for the kapparot ritual rather than using chickens is consistent with our mission to be rachmanim b’nei rachmanim (compassionate children of compassionate ancestors) and with the Torah mitzva of tsa’ar ba’alei chaim (the prohibition against causing unnecessary harm to animals). It is also consistent with the Jewish teachings that “God’s compassion is over all of His works” (Psalms 145:9) and “the righteous person considers the life of his animals” (Proverbs 12:10). SPCA members will be touring the markets of Tel Aviv on Tuesday dressed in bloody red and bearing harsh pictures of slaughtered chickens, to try to incur a change of heart among those planning a fowl atonement ceremony with the help of Aviner’s letter, which might bring some to substitute the bird with charitable money. 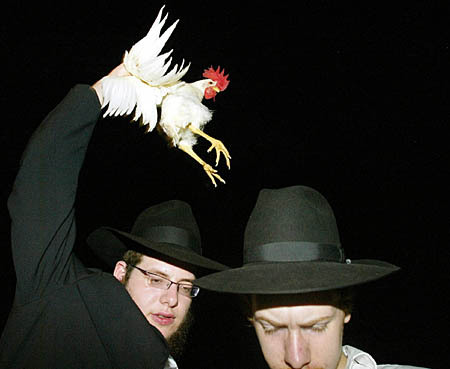 Sunday morning, a few hours before the Yom Kippur fast, many Jews will perform the Kapparot ritual and will wave a soon-to-be slaughtered chicken around their heads. This ancient Jewish custom, which is meant to transfer divine punishment to the soul of a chicken, has been around for generations. Recently however it has encountered opposition by animal welfare groups and even some rabbis. First a few words about the practice and its purpose. 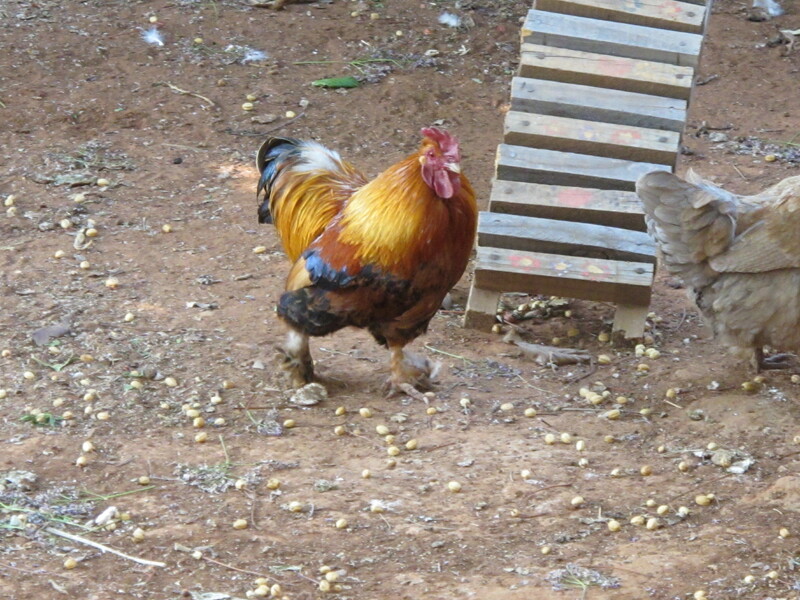 According to tradition, the father of the house takes a male rooster and the wife takes a female chicken. Each of them holds the animal in his or her right hand and recites a number of verses. Afterwards the chicken is transferred to the left hand and is waved around the head three times while the person recites: “This is my exchange, this is my substitute, this is my atonement. This rooster will go to its death while I enter and proceed to a good long life, and to peace.” The chicken, which is immediately slaughtered, symbolizes the man’s sins and dies instead of him. Over the years, many Jews have adopted a substitute for the chicken- a piece of pottery that is then smashed or money that goes to charity. However there are still many that do not have mercy on the chickens. Rabbi Gilad Kariv, from the Reform Movement, claims that this custom bespeaks a lack of compassion and mercy, attributes that generally characterize the Jewish people. Additional objections to the ritual killing of chickens come from animal welfare societies. Dozens of “Anonymous for Animal Rights” activists demonstrated at the Carmel market in Tel Aviv against this ‘cruel abuse’ of chickens. “Save lives and not a life for a life” and “Don’t add another sin to your crimes” were just some of the placards waved at the demonstration. The demonstrators received a frosty reception from the vendors who threw water on them and asked them to disperse. An additional demonstration took place in Jerusalem. Vanderbrook agrees with Rabbi Kariv that it is not just the slaughter that is unacceptable, but also the manner in which the birds are treated. “Next to my house in Jerusalem there are chicken cages scattered around without water,’ she tells ‘The chickens are brought to the slaughter in cramped cages without water in the broiling sun. Half of them die on the way. No one thinks that these poor creatures deserve to live on the way to their death. “Unfortunately I think that it will be very hard to eradicate this custom in the Ultra-Orthodox community” Vanderbrook pessimistically summarizes, “But I am appealing to traditional people who customarily perform Kapparot and am asking them to stop. Greater rabbis than myself have requested to end this practice. The pain originates from cutting throat nerves, not from the loss of blood, suggesting the severed nerves send pain signals until the time of death. Stunning animals 5 seconds after incision makes the pain signal disappear instantly. Brain signals have shown that calves do appear to feel pain when slaughtered according to Jewish and Muslim religious law, strengthening the case for adapting the practices to make them more humane. “I think our work is the best evidence yet that it’s painful,” says Craig Johnson, who led the study at Massey University in Palmerston North, New Zealand. Johnson summarised his results last week in London when receiving an award from the UK Humane Slaughter Association. His team also showed that if the animal is concussed through stunning, signals corresponding to pain disappear. The findings increase pressure on religious groups that practice slaughter without stunning to reconsider. “It provides further evidence, if it was needed, that slaughtering an animal without stunning it first is painful,” says Christopher Wathes of the UK Farm Animal Welfare Council, which has long argued for the practice to end. In most western countries, animals must be stunned before they are slaughtered, but there is an exemption for religious practice, most prominently Jewish shechita and Muslim dhabiha. Animal welfare groups have long argued that on welfare grounds, the exemptions should be lifted, as they have been in Norway. Johnson’s work, funded by the UK and New Zealand agriculture ministries, builds on findings in human volunteers of specific patterns of brain electrical activity when they feel pain. Recorded with electroencephalograms, the patterns were reproducible in at least eight other mammal species known to be experiencing pain. Johnson developed a way of lightly anaesthetising animals so that although they experienced no pain, the same electrical pain signals could be reliably detected, showing they would have suffered pain if awake. The team first cut calves’ throats in a procedure matching that of Jewish and Muslim slaughter methods. They detected a pain signal lasting for up to 2 minutes after the incision. When their throats are cut, calves generally lose consciousness after 10 to 30 seconds, sometimes longer. The researchers then showed that the pain originates from cutting throat nerves, not from the loss of blood, suggesting the severed nerves send pain signals until the time of death. Finally, they stunned animals 5 seconds after incision and showed that this makes the pain signal disappear instantly. “It wasn’t a surprise to me, but in terms of the religious community, they are adamant animals don’t experience any pain, so the results might be a surprise to them,” says Johnson. He praised Muslim dhabiha practitioners in New Zealand and elsewhere who have already adopted stunning prior to slaughter. They use a form of electrical stunning which animals quickly recover from if not slaughtered, proving that the stunned animal is “healthy”, thereby qualifying as halal. 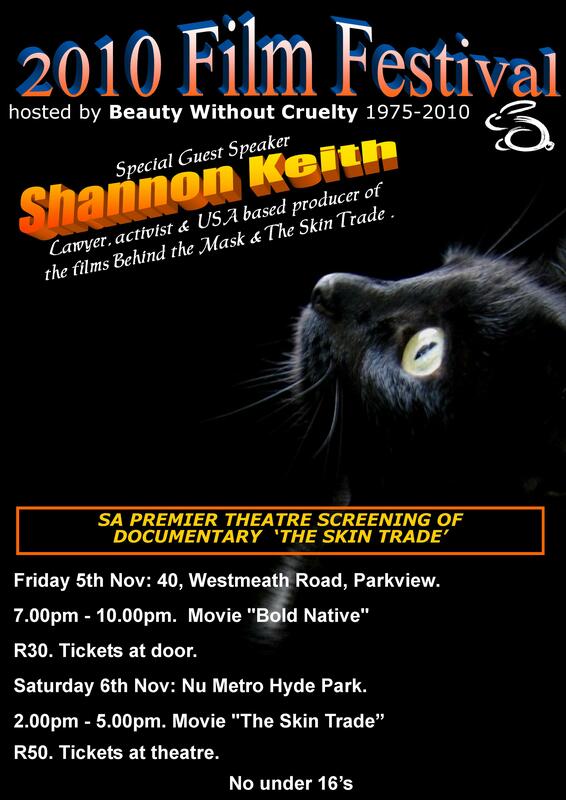 Representatives for both faiths responded by claiming that stunning itself hurts animals. A spokesman for Shechita UK says that the throat cut is so rapid that it serves as its own “stun”, adding that there is abundant evidence shechita is humane. Ahmed Ghanem, a halal slaughterman based in New Zealand, says that blood doesn’t drain properly from stunned animals, although this has been countered by recent research at the University of Bristol in the UK. Ghanem cites a 1978 study relying on EEG measurements led by Wilhelm Schulze of the University of Hanover, Germany, apparently concluding that halal slaughter was more humane than slaughter following stunning. But Schulze himself, who died in 2002, warned in his report that the stunning technique may not have functioned properly. Hannah and Sunshine have no idea the fate they have just escaped, but they do bear the marks of trauma and mishandling. They are at our sanctuary in Magaliesburg, and are both doing so well. Aa a rule we do not keep roosters, however we did relent and take one little man a few months ago (named Bolero by a friend of mine, and The Duke, by my father) – he came with some hens. They had been confiscated from a petting zoo (no constant access to water). It felt cruel to split them up. Chickens form very strong bonds and friendships. And now we have Sunshine. I feel so lucky that they both ended up with us. Sunshine is really beautiful, and has a wonderfully engaging and gentle temperament. he has integrated well with the other birds, but does spend much time with Hannah, who is limited in her moevement at present, and spend a lot of her time resting , eating and drinking in a secluded area. Hannah is much better than she was when she came to us, and remarkably, has learned to trust us in such a short space of time. Sunshine, reminds me of a white leghorn rooster that I had as a pet when I was 6 years old. Holding him and burying my nose in his neck feathers is so comforting, and a re vist of my childhood pet.